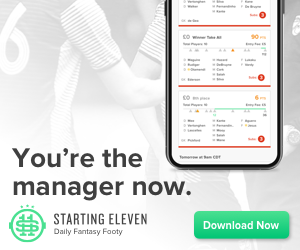 GoalScorer Challenge is a free fantasy football game. It's an uncomplicated game. No messing about with transfers and chips, just pick one player per week to score. If they score a goal, add a goal to your score. If they score two, add two. Should I slow down? I reckon you get the idea. The challenge is in picking the right player in the right week as you can only pick each player once all season! It means you can either think really tactically and plan 10 weeks in a row or just pick your player in 5 seconds on a Saturday morning. The game has been going for 7 years now having started as a £1 per goal game between two work colleagues. There's a good core of regular players who've been doing it for years but there's no limit to the number of players we want so sign up now and pass it on to all your mates. You know how boring international weekends are? No FPL, no interest in Switzerland v Belarus on a Saturday night. Wait! Maybe you can pick Xherdan Shaqiri in GSC? Suddenly your weekend is at least 10% more interesting. You still have to pick a Premier League player for these weeks but the thrill of picking Edin Džeko scoring 4 goals against Liechtenstein can't be beaten. There are GSC gameweeks for the FA Cup rounds too (you still have to pick a PL player) so you'll never have a week off again. GoalScorer Challenge is a free game, always has been and probably always will be. Whoever has most goals at the end of the season will win the football shirt of their choice (within reason - I'm not going to try and track down a Dukla Prague away shirt). If you get the most goals in a month GSC will make a £20 donation to the charity of your choice and if you get a one-pick hat-trick I'll make a £50 donation. These are pretty rare - I think there's only been one in the last two seasons. If you want to run a cash minileague with your mates, go for it. A few people run £5/£10 per goal head-to-head leagues which adds a bit of spice too. If you subscribe to the GSC emails you'll get a weekly run-down of who's scored and what the standings look like. Alternatively, just follow @GoalscorerC on twitter and see how many people picked your goalscorer, who the top picks are each week and how many goals the leaders have got. You'll also see a load of stats. If you're the only person to pick a player who scores, you'll always get a shout out. A lot of my players play GSC because it requires less work than FPL, but most play both. If you're reading this, you're probably a fantasy football fan so I'm not going to tell you to play this instead. Where GSC can be useful is when you can't decide between two FPL players to transfer in or between two captaincy choices. In those weeks, you can use GSC to hedge your bets nicely; pick one in FPL and one in GSC! Or just go completely nuts and double down on both games then cry in a corner when Sergio Agüero doesn't score at home to Huddersfield. So there you have it. It’s free, fun and challenging. So there’s no reason for you not to sign up today. 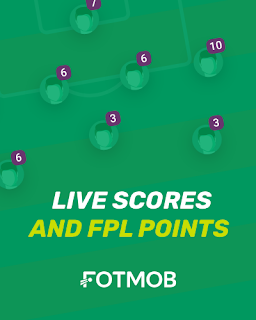 Set up minileagues and get your friends involved too. The game is reliant on word of mouth to grow and the more people playing the better!